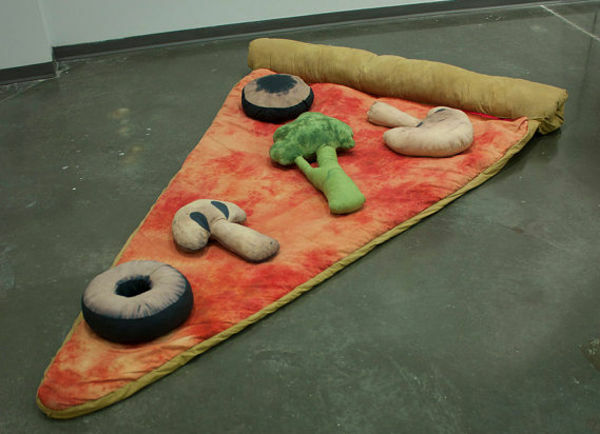 This sleeping bag and pillows certainly give new meaning to comfort food. 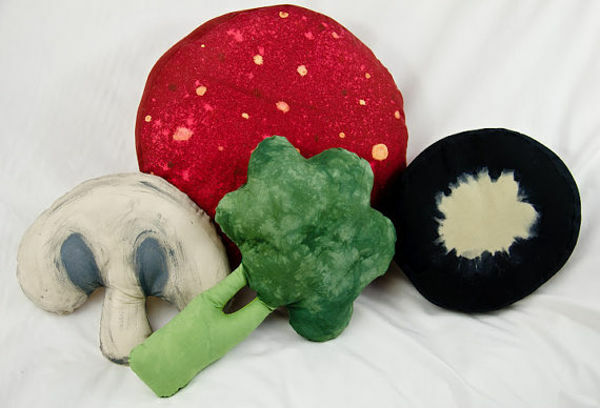 It has to be said, some of these B Fiber & Craft Emporium pillows do look good enough to eat. But do they make good decorator items? Perhaps they’d make a great educational tool for kids – and they do go particularly well with the B Fiber & Craft Emporium Slice of Pizza Sleeping Bag. Handmade in the US, there’s a whole smorgasbord of pillows to choose from – broccoli, mushrooms, slices of pepperoni and kiwi fruit. 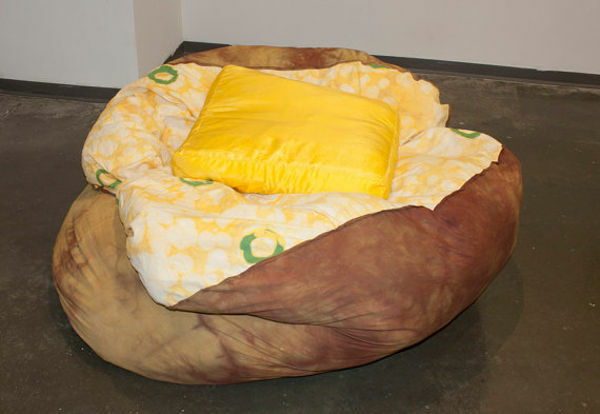 There’s even a baked potato bean bag ($250), for those with a healthy appetite. 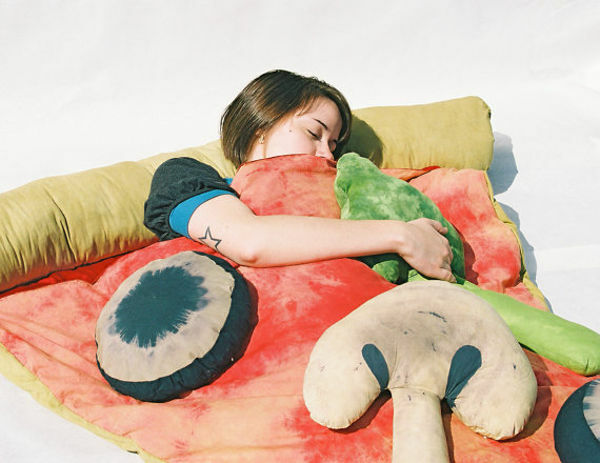 The pillows range in price from around $30, the pizza slice sleeping bag is about $250. Shipping to Australia is available. The Babyology jury is well and truly out on whether these food pillows are quirky enough to be cool… what do you think? Would they make the perfect scatter cushions for your child’s reading corner? Perhaps pair them with the Supersize Bed we featured recently.